We all have heard about Internet of Things, IoT is a transformation process of connecting our smart devices and objects to network to perform efficiently and access remotely. What are the major components of Internet of Things? Devices and sensors are the components of the device connectivity layer. These smart sensors are continuously collecting data from the environment and transmit the information to the next layer. Latest techniques in the semiconductor technology is capable of producing micro smart sensors for various applications. 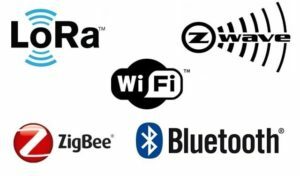 Most of the modern smart devices and sensors can be connected to low power wireless networks like Wi-Fi, ZigBee, Bluetooth, Z-wave, LoRAWAN etc… Each of these wireless technologies has its own pros and cons in terms of power, data transfer rate and overall efficiency. Developments in the low power, low cost wireless transmitting devices are promising in the area of IoT due to its long battery life and efficiency. Latest protocols like 6LoWPAN- IPv6 over Low Power Wireless Personal Area Networks have been adapted by many companies to implement energy efficient data transmission for IoT networks. 6LoWPAN uses reduced transmission time (typically short time pulses) and thus saves energy. IoT Gateway manages the bidirectional data traffic between different networks and protocols. Another function of gateway is to translate different network protocols and make sure interoperability of the connected devices and sensors. Gateways can be configured to perform pre-processing of the collected data from thousands of sensors locally before transmitting it to the next stage. In some scenarios, it would be necessary due to compatibility of TCP/IP protocol. 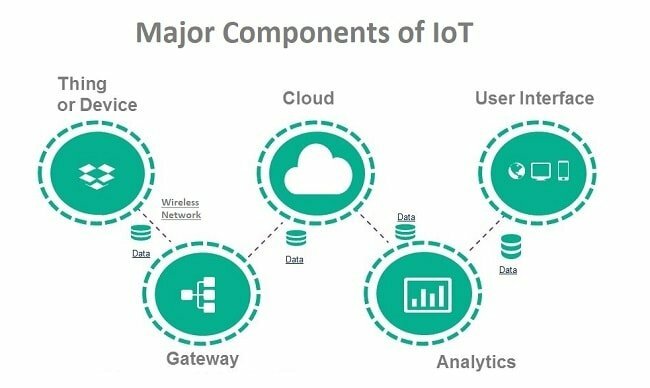 IoT gateway offers certain level of security for the network and transmitted data with higher order encryption techniques. It acts as a middle layer between devices and cloud to protect the system from malicious attacks and unauthorized access. Internet of things creates massive data from devices, applications and users which has to be managed in an efficient way. IoT cloud offers tools to collect, process, manage and store huge amount of data in real time. Industries and services can easily access these data remotely and make critical decisions when necessary. Basically, IoT cloud is a sophisticated high performance network of servers optimized to perform high speed data processing of billions of devices, traffic management and deliver accurate analytics. Distributed database management systems are one of the most important components of IoT cloud. Cloud system integrates billions of devices, sensors, gateways, protocols, data storage and provides predictive analytics. Companies use these analytics data for improvement of products and services, preventive measures for certain steps and build their new business model accurately. 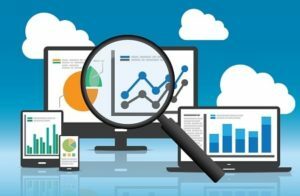 Analytics is the process of converting analog data from billions of smart devices and sensors into useful insights which can be interpreted and used for detailed analysis. Smart analytics solutions are inevitable for IoT system for management and improvement of the entire system. One of the major advantages of an efficient IoT system is real time smart analytics which helps engineers to find out irregularities in the collected data and act fast to prevent an undesired scenario. Service providers can prepare for further steps if the information is collected accurately at the right time. Big enterprises use the massive data collected from IoT devices and utilize the insights for their future business opportunities. Careful analysis will help organizations to predict trends in the market and plan ahead for a successful implementation. Information is very significant in any business model and predictive analysis ensures success in concerned area of business line. User interfaces are the visible, tangible part of the IoT system which can be accessible by users. Designers will have to make sure a well designed user interface for minimum effort for users and encourage more interactions. Modern technology offers much interactive design to ease complex tasks into simple touch panels controls. Multicolor touch panels have replaced hard switches in our household appliances and the trend is increasing for almost every smart home devices. User interface design has higher significance in today’s competitive market, it often determines the user whether to choose a particular device or appliance. Users will be interested to buy new devices or smart gadgets if it is very user friendly and compatible with common wireless standards. Internet of Things has been evolving ever since it started its journey few years back. New technologies and protocols joins IoT ecosystem to make it more accessible, cost effective, energy efficient and most importantly secure. We will witness a continuous development in IoT due to huge demands in different sectors.